When I’m in the mood to hydrate, I’ll commit to drinking a liter of seltzer water. If you put a few stems of cilantro and ice in a glass, then keep refilling, the cilantro releases more flavor as time goes by. Be sure to keep the cilantro leaves on the stem so they do not float up and get in your mouth while you are drinking. Yum! 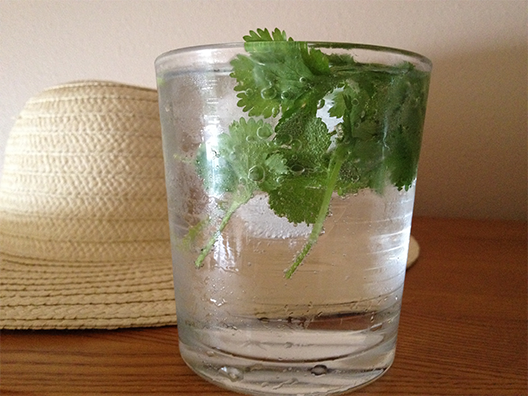 Recipe: 2-3 stems of organic cilantro + seltzer water.